What price our heritage? What price our history? The world would shake with incredulous disbelief if it were ever suggested that possibly the Pyramids, the Taj Mahal, Stonehenge or the ancient ruins of the City of Pompeii being partially demolished to make way for residential accommodation or possibly social housing with substantial enabling development around the curtilage of these sites. 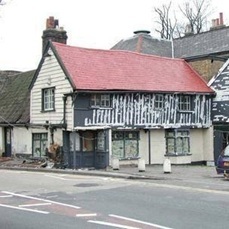 However, although on a much smaller scale to these august historical monuments, this is the likely proposal to be considered by the London Borough of Newham for an ancient 15th century coaching inn known as The Spotted Dog. The Spotted Dog Inn was in continuous use from the 15th century until the turn of the new millennium. Legend has it that King Henry VIII used the inn for kennelling his hunting dogs. For most of the 19th century the Spotted Dog continued its life as a popular public house which I remember well, until an eventual sympathetic transformation blended with the property to create a well-known and loved steak restaurant and public house. In 2004 the property was put up for auction and purchased by joint owners who commenced building works, some of it apparently unauthorised. Unfortunately all work was abandoned following a dispute between the joint owners and the Spotted Dog has stood empty and neglected ever since with the building falling into administration. With the ongoing neglect of this Grade II listed, (and in theory), protected building, the premises rapidly fell into a state of disrepair. Various pressure groups have tried unsuccessfully to get the local council to cut through the legalistic red tape to bring the building back into use and even Prince Charles has shown an interest in the fate of the building. The local authority has already tried a number of legal moves to revitalise and preserve the building and are now considering various options including buying the property with a Compulsory Purchase Order. A valuation exercise would be a requirement of any CPO option. Purchase and restoration of the building is likely to result in a financial deficit to the council and this could lead to the temptation of using the land in alternative ways other than a public house and restaurant or other cultural usage. Despite being the location for the 2012 Olympics site, Newham is one the UK’s most deprived areas. Although the Olympics are likely to bring a degree of regeneration to the area, there are so many more ingredients other than enhanced sporting facilities required in the cauldron of regeneration to make an area both a pleasant and desirable location to live. Diversification of both public and private resources throughout an area frequently helps this essential feel good factor to a local environment. Although social housing is essential, an over preponderance of such property in a given locality can also have a negative influence to the desirability and vibrancy of an area. Local campaign groups believe that with council assistance, it will be possible to attract sufficient public subscriptions to turn the Spotted Dog Inn into a much-needed heritage centre. The building is certainly one of the oldest historical buildings in London and is the oldest secular building in the London Borough of Newham. It does seem to me such a proposal fits perfectly into the desirability aspects of local regeneration and is far from wishful thinking. When studying history be it social, cultural, political or economic, it always seems strange to me that few modern-day participants in current affairs ever view how they themselves or their actions will be perceived by future historians. I have little doubt that if the redevelopment proposals for the Spotted Dog are progressed, those future historians will view the effective and unnecessary loss of such an important historical site very negatively indeed. It would be a negatively charged historical cloud I would certainly not wish to have hovering over my head for the remainder of posterity. As they say, “Once it is gone, it is gone”, … and its gone forever. 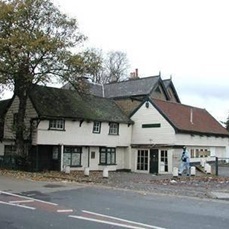 The photographs below show the increasing deterioration to the Spotted Dog Inn. It is hard to believe this is a protected building and how it has been allowed to reach such a deplorable condition in just a few years. After more than 500 years of proud life, it is tragic the building should be left to suffer such an ignominious fate.